All residents served by the communal tank(s) must be ‘eligible to switch’ for the transfer to succeed (i.e. each resident’s current supply agreement must have expired). Residents are therefore tied until the last resident becomes ‘eligible to switch’. You don’t need to worry about changing the communal tank(s) and equipment as we are able to buy this from your current supplier – at no cost to you. We anticipate that the transfer process will take between 1 to 2 months to complete (but may take up to 4 months). How do I change to Premier LPG? Call our team on 01772 707011 who will provide the requisite documents for you to simply sign and return. 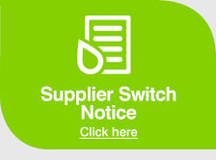 Alternatively, complete the Supplier Switch Notice and return it to Premier LPG Limited, Unit D3 Red Scar Business Park, Longridge Road, Ribbleton, Preston PR2 5NQ or lpg@premierlpg.co.uk. We will then start and complete the transfer on your behalf. With increased demand for an efficient and cost effective supply of energy to housing not served by mains gas, LPG metered supply offers advantages over both electricity and oil for heating and cooking. If you are a Developer seeking to install LPG at a new build or restoration project our team will be happy to discuss Storage Options in more detail with you. Please call 01772 707011 to discuss. If you have moved into a property supplied by Premier LPG or another LPG supplier our team will be happy to discuss supply options. Please call us on 01772 707011. If you wish to install LPG for the first time our team will be happy to discuss Storage Options in more detail with you. Please call us on 01772 707011. 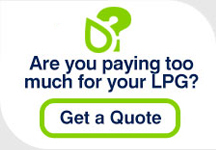 The LPG that we supply is exactly the same fuel, bought from exactly the same refineries as all other suppliers. So join Premier LPG today.